Instant Pot Cilantro Lime Rice is a tangy and hearty side dish that’s ready in minutes! This Instant Pot Rice Recipe is just what you need as a side dish for your weeknight dinners! In the instant pot, pour in rice, broth, lime juice and cilantro. Pressure cook rice on high pressure for 15 minutes. 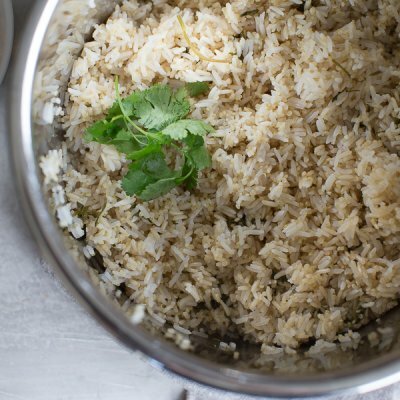 Allow rice to natural release and fluff with a fork.